There have been many local Newfoundland hockey players that have worked hard in hopes of making it to the NHL but have fallen short. Others had managed to make it only to have their dreams sidelined for one reason or another. They have made a name for themselves in hockey circles back here at home, showcasing their talent in the senior hockey ranks. Others have fallen off the radar, their hockey careers over, leaving us here at Newfoundland Hockey Talk asking what it takes to be a professional hockey player. Some of the names of local fan favourites include Darren Colbourne, Todd Gillingham and Terry Ryan. Ryan was drafted in the first found, 8th overall by the Montreal Canadiens in the 1995 NHL Entry Draft. Darren Colbourne was drafted 227th overall in the 1988 NHL Entry Draft. Gillingham had a great stint through the AHL. These players were unable to break into the NHL despite being skilled and talented. All of them went on to have some great contributions here in the provincial senior leagues. Newfoundland has also produced many great NHL players such as Michael Ryder, Dan Cleary and Ryane Clowe. While these players are well known, there have been some that had major potential but they simply came up through the hockey ranks at the wrong time. One of those players hails from a small community on Newfoundland’s west coast. Jeff Loder from Summerside Newfoundland made a name for himself around Corner Brook. He was a relatively small, smooth skating center man with soft hands and a knack for the game like no other. He could watch a play develop and either put the puck in the net himself or pass it off to his teammate. His skill was obvious in the Corner Brook Minor Hockey league and he quickly established himself as one of the best around. Loder turned heads through his minor hockey days and was drafted into the QMJHL with the Laval Titans. Adjusting to being away from home and tossed into a French speaking community meant some adjustment for Loder. He was also competing with players who for the most part were bigger and stronger than him. However, in speaking with those close to the team at the time, they remembered Loder being a slick player on the ice, fast on his skates, great hands and an eye for the game like no other. The only thing they noted was Jeff’s smaller stature probably worked against him because hockey at the time was moving towards the bigger and stronger power-forward players. Loder came in at just 5’10” and under 200 pounds, small for that period in hockey. Even though Loder was passed over in the NHL entry drafts, he did manage to find a game in several of the minor pro leagues at the time, including the ECHL and UHL, where he continued to put points on the board until being sidelined with a career ending knee injury. 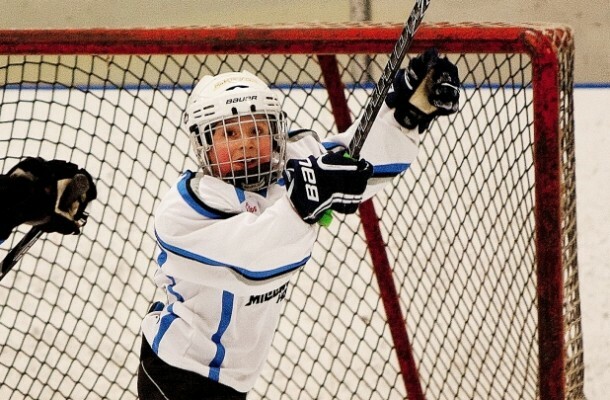 Had Loder been born 10 years later would he have made the NHL? No one can say for certain. Up until his career had been prematurely ended, Loder did everything right to make it to the NHL. He had the skill, determination and the will to continue playing even through some of the adversity and off ice politics he faced in his career. He turned this adversity into something and built a life for himself off the ice, just as Ryan, Colbourne and Gillingham has done. This is not a story of regrets but more a story to show that succeeding in hockey is not just about skill. It is about timing, about luck and in many instances about the politics that happens off the ice. Terry Ryan writes about this in his book “Tales of a First Round Nothing”. You talk to each of these players and they will all tell you the same thing – they are grateful for what hockey has given them. They got to play a game they enjoyed, they became the people they are today because of hockey. It bestowed in them the necessary work ethic to survive in life. It made them determined to succeed when the odds were stacked up against them. For the parents out there with dreams of their kids becoming NHL stars, the experts all agree that you have a better chance at winning the lottery than making it to the NHL. Do not put added pressures on your kids, let them enjoy the game, encourage them, support them and embrace the fundamental life skills that this game gives your children.